CLICK HERE to preview the table of contents and introduction. This book offers a much-needed introduction to womanist approaches to biblical interpretation. It argues that womanist biblical interpretation is not simply a by-product of feminist biblical interpretation but part of a distinctive tradition of African American women's engagement with biblical texts. While womanist biblical interpretation is relatively new in the development of academic biblical studies, African American women are not newcomers to biblical interpretation. Moreover, although some African American women identify themselves as "womanists," the term, its usage, its features, and its connection to feminism remain widely misunderstood. After providing historical background, Junior discusses the current state of womanist biblical interpretation and critical issues related to its development and future. This excellent and accessible resource is perfect for introducing readers to the development and applications of womanist biblical interpretation. 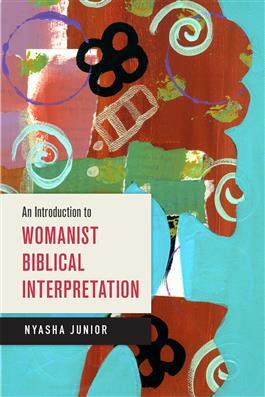 "Nyasha Junior's An Introduction to Womanist Biblical Interpretation is brilliant in its simplicity. Junior has written a teachable text in clear and compelling language. More than that, Junior dispels common misconceptions and offers a cultural and intellectual history of African American women's engagement with biblical texts. Junior depicts intellectual controversies with equanimity and breadth while highlighting the strengths of those who work in such a marginalized field. Realistic and hopeful, Junior's assessment is relevant for students and scholars in theology, biblical scholarship, Christian ethics, and black religious scholarship. This is the book we all wish we had earlier in our studies." "Nyasha Junior is that welcome combination of rigorous scholar and lucid, accessible writer. These traits are on clear display in An Introduction to Womanist Biblical Interpretation. The sweep of her project entails perhaps the most comprehensive cross-disciplinary survey to date of womanism, one the most dynamic and fecund developments in academia in the last several decades. But her primary focus is biblical studies. Professor Junior has crafted an indispensable resource for understanding the depth and the breadth of the interpretive possibilities of womanism for critical biblical study. This very useful text should grace the desks of every theological student—and perhaps their professors, too."